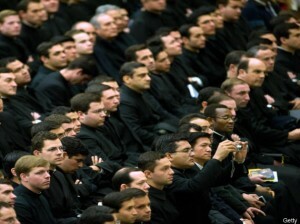 Should the Legion of Christ Disappear? I have great friends who are Legionaries, and some Consecrated as well. These are wonderful people serving God and his Church with all their being. They do great work, are loyal and ready to die for Christ. Their university in Rome is top-notch and I have taught classes there. These good folks deserve better than what the Legion has become. Group of Consecrated Woman today announce they’re leaving the Legionaries.